Once upon a time, a boy as thin as a needle lived with his grandmother. His friends always made fun of him, called him ‘Needle boy’ believing that he could be blown away in a strong wind. Needle boy loved the idea. 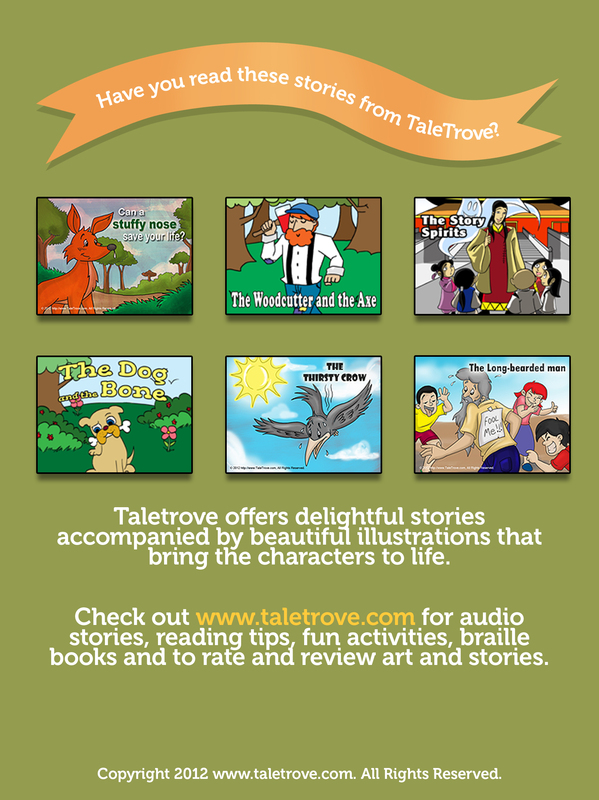 He started his trip through the forest to his uncle’s town, but darkness was setting in. All of a sudden, a wolf sprung up. “Where do you think you are going?” it asked. “You would make a good dinner, boy,” it smirked menacingly. The wolf was enticed. “Ok, but if you don’t keep your promise to return, I will hunt you down,” he threatened as he walked away. 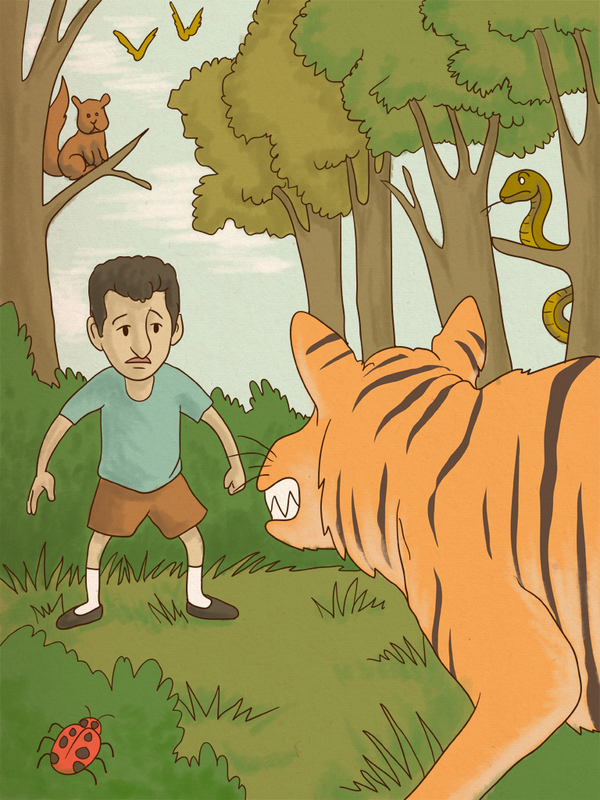 The boy continued for only a short while before running into a tiger, an even more dangerous predator. “Hola my dinner!” the tiger remarked. My forecast for the day said EASY DINNER, but I didn’t expect lean cuisine,” he joked. The tiger imagined a plumper version of the boy and succumbed to that prospect. “Ok, I will find you on your way back,” he replied licking his tongue as he prowled on. Heaving a sigh of relief, the Needle boy moved on. 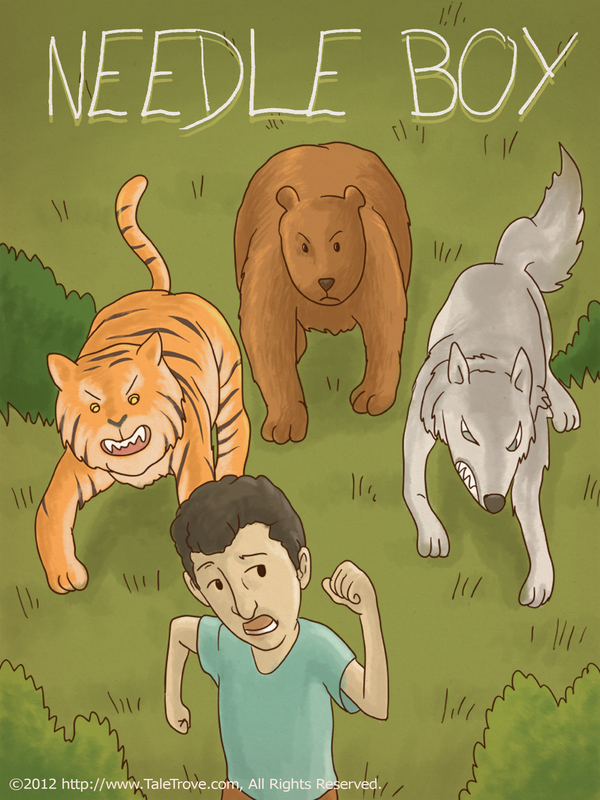 “Wait bear!” Needle boy interjected and tricked the bear into letting him go like he had with the wolf and tiger. Finally, the Needle boy reached his uncle’s house and spent the rest of the summer with him. As his granny had predicted, he had become considerably larger. When time drew close to depart, he began to worry. Noticing the boy’s concern, his uncle asked, “What’s the matter, my boy?” The boy, now no more needle-thin, narrated his encounter with the animals in the jungle. He whispered the rest of his plan into the boy’s ears. The relieved boy climbed into the pumpkin and with one kick from his uncle, rolled into the forest. 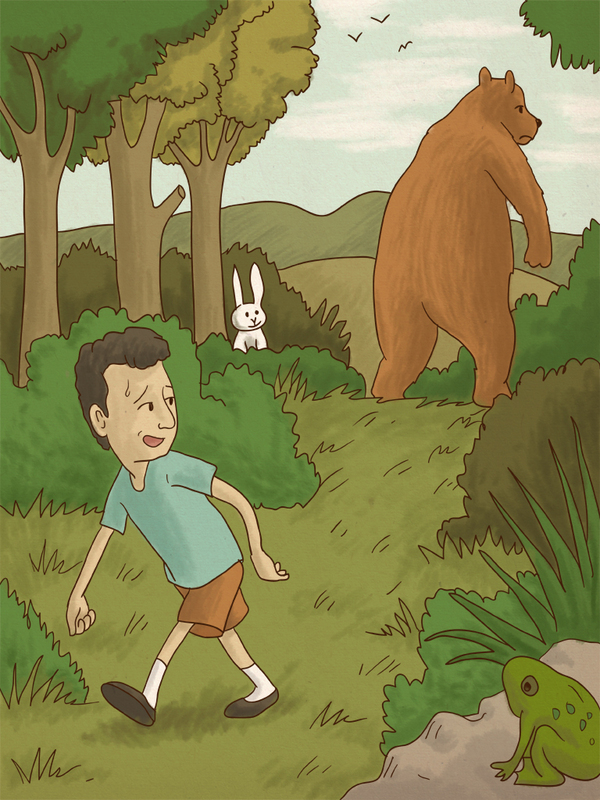 First he ran into the bear. The delighted bear smacked its lips in anticipation and kicked the pumpkin so that it rolled on merrily. The tiger stopped the pumpkin and asked the same question and received the same response. 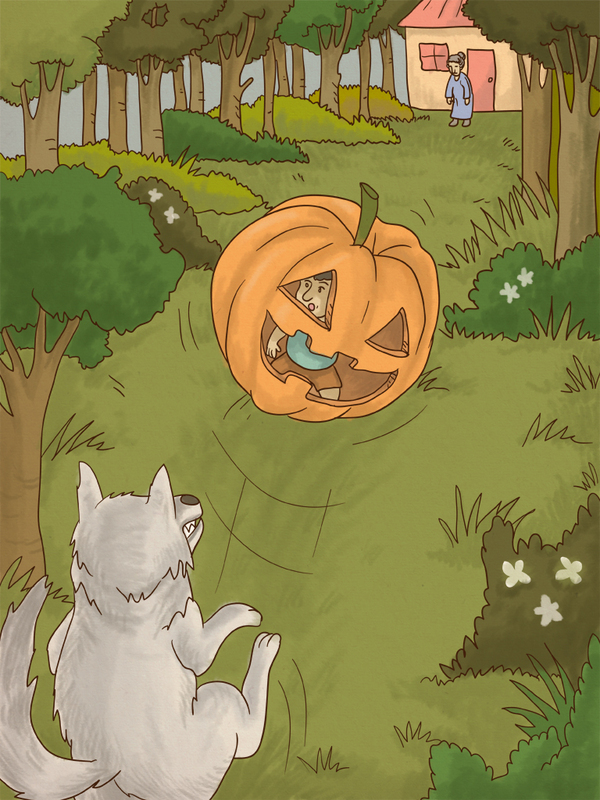 Gaining more momentum, the pumpkin bounced along until the wolf stopped it. The same story was repeated, and with a final kick from the wolf, the pumpkin reached home. 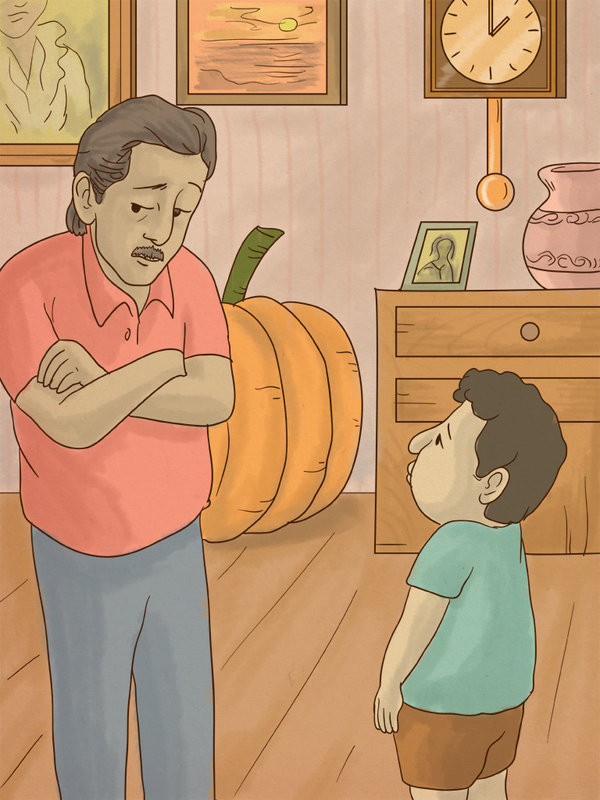 The boy broke out of the pumpkin and told his grandmother of his adventures in the jungle. The delighted granny, relieved that the boy had reached home safely, smiled and declared, “Now you have become ‘Pumpkin boy’. 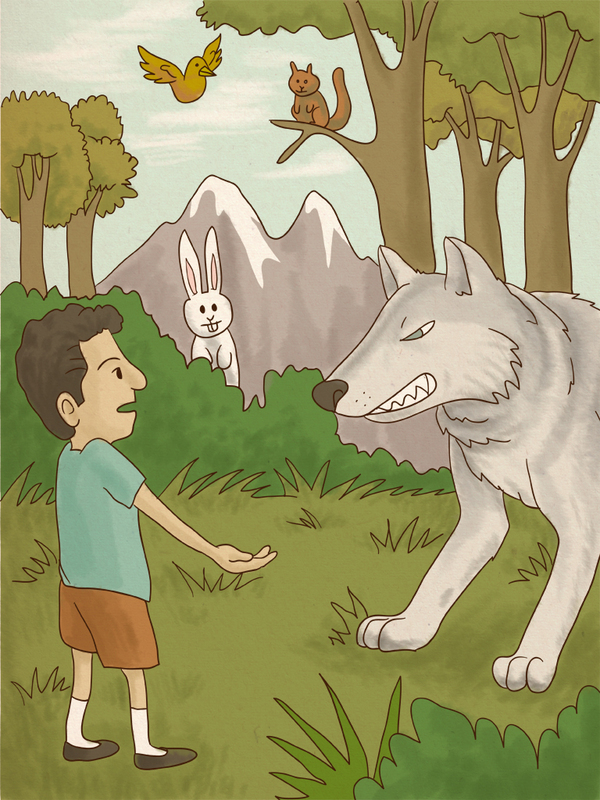 A smart boy outwits dangerous animals during his journey through the forest in this folktale.